Fairytale weddings are every girls dream. 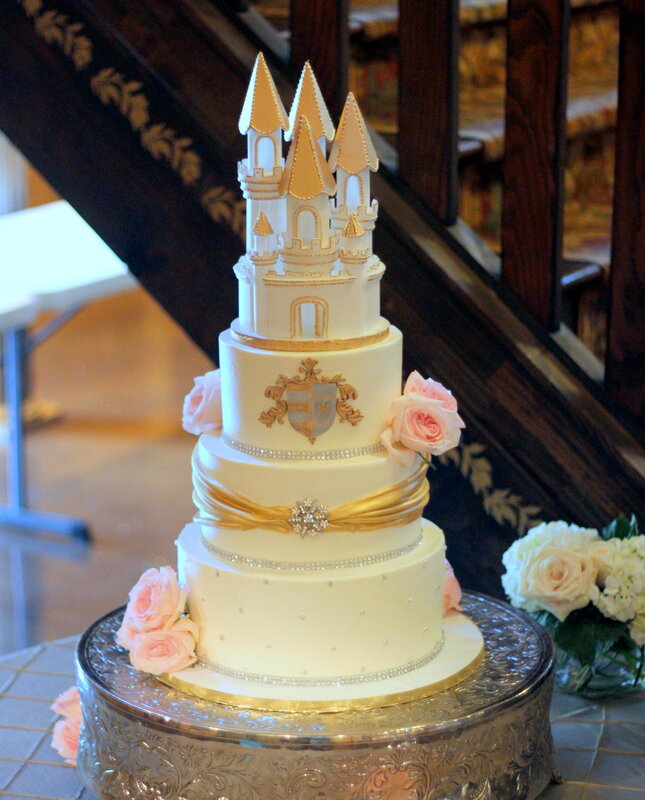 This bride wanted a castle wedding cake to go with her theme that took place at The Castle in Angier, NC Barclay Villa. 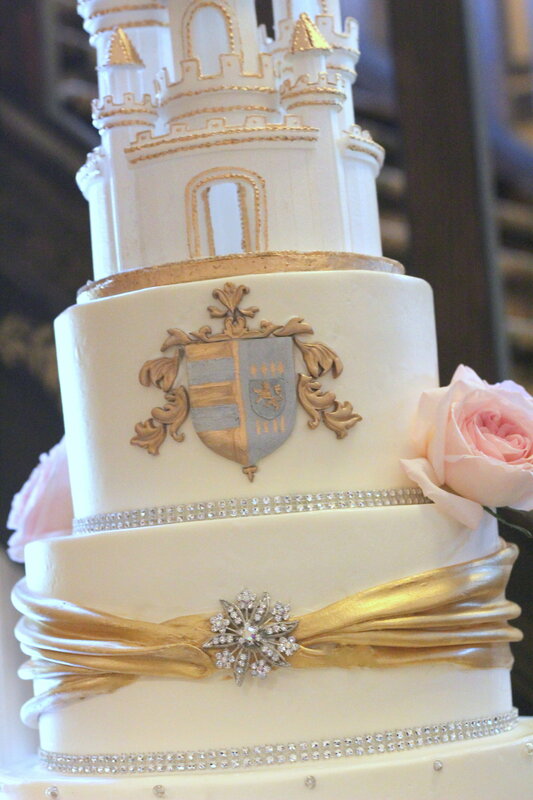 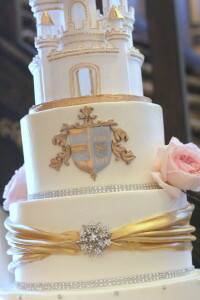 The Castle wedding cake had pearl and gold colors with the family crest design on it as well as many crystals for added sparkle. 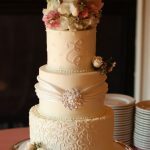 Meghan from Sweet SaraBell was the wedding consultant for Zane and Jennifer Narro that day. 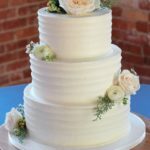 Fresh Affairs Florist provided the flowers and Rocky Top Catering from Raleigh, NC was the caterer.